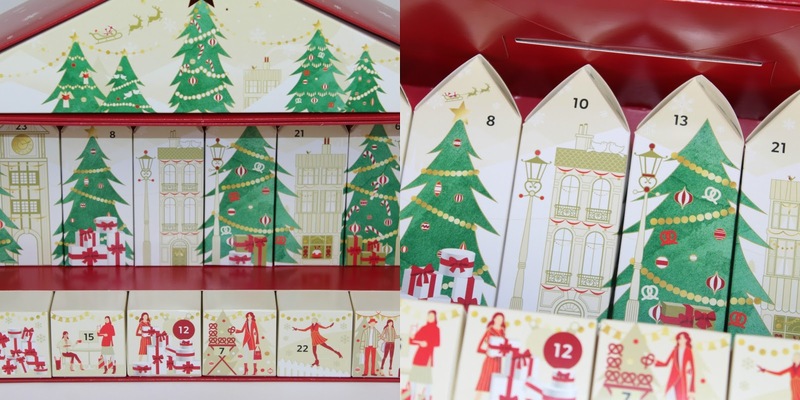 Marks and Spencer Beauty Advent Calendar 2017 Review and What's Inside!? Yes, it's finally here the Marks and Spencer Beauty Advent Calendar 2017! * So if you are intrigued what's inside the calendar and is it really worth the money, then *SPOILER* alert I'm going to share with you everything that's inside this *£250 Value* beauty calendar! The calendar retails for £35 the only catch is you have to spend £35 or more in store or online to get the advent calendar for £35. However, overall the value of the contents inside is worth an amazing £250! The functinality of this calendar compared to last years which I will link here is not as good as you do have to take out some of the front houses to beable to get to the back ones and of course all the numbers are placed in sporadic order. But nontheless the design of this years is one of my favourites as I love the attention to detail. Well, guys there you have it, what do you think and what are your favourite items from the calendar? I hope you found this helpful if you did want to see what's inside this year's advent calendar. Personally, I think this is even more impressive than last years and let me tell you the 2016 version was hard to beat! However, for the same price, I think this years has exceeded my expectations with 25 amazing premium sized 4 and 5 star rated beauty products for only £35 that are also perfect if you're a seasoned traveller.